It was not long before midnight on 17 May 1943 when the inhabitants of Gunne, the German village close to the Mohne Dam, heard the airraid warnings. It was widely regarded as a precautionary measure, but ninety minutes later, an immense tidal-wave was roaring down the valley towards them. 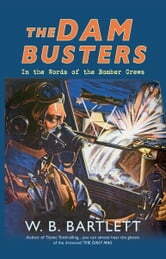 Guy Gibson, who led 'X' Squadron of 19 specially adapted Lancasters equipped with Barnes Wallis's 'bouncing bomb', knew that the odds were stacked against him and his men. But they would not let him down. Some, like Squadron Leader Young whose bomb breached the dam, would return home as heroes. Others, like Pilot Officer Byers and his crew, would not, shot down just after crossing the North Sea whilst they were still miles away from their targets. A small number of those involved would survive crashed aircraft and live out the war in POW camps. The Dam Busters raids have gone down as perhaps the most famous air strikes in history. Yet behind the story of courage and determination there lies another, darker side, both for the aircrews - 40% of whom died in the mission - and for those who lived below the dams in the path of the flood, many of whom were not even German. This new account tells the story of those dramatic events through the eyes of those who were there. Whether or not the reality matches the legend, one thing that emerges is the incredible bravery of those who flew the most dangerous mission they had ever undertaken and the trauma experienced by those unlucky enough to be its target.